In education and research, the University received points for the diverse array of sustainability-related research programs conducted by faculty in every college as well as the many opportunities to learn about sustainability both in and out of the classroom. In operations, the University’s $10 million investment in energy conservation measures earned substantial credit. Notre Dame’s strong partnership with local government and global commitment to community service earned many points in planning, administration and engagement as well. 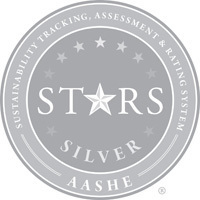 “STARS was developed by the campus sustainability community to provide high standards for recognizing campus sustainability efforts,” said Paul Rowland, AASHE executive director. “Notre Dame has demonstrated a substantial commitment to sustainability by achieving a STARS Silver Rating and is to be congratulated for its efforts." Originally published by Rachel Novick at news.nd.edu on August 26, 2011.